Attendees may sign up for special events and seminars during the application process or by using the “Special Events Tickets Only” link at www.semashow.com/register . Among the special events are those offered by the SEMA Show Education program, Society of Collision & Repair Specialists (SCRS), Tire Industry Association (TIA) and Inter-Industry Conference on Auto Collision Repair (I-CAR), adding up to more than 100 sessions addressing all aspects of small business, industry trends and opportunities, collision repair, professional development training, Advanced Vehicle Technology and more. 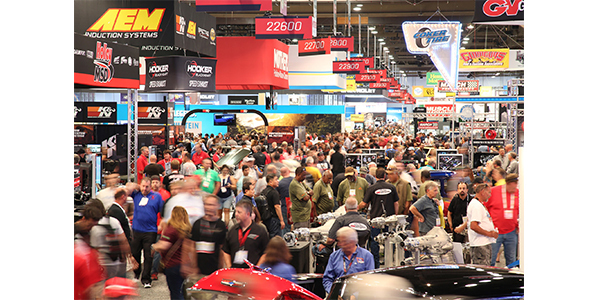 To register for the 2019 SEMA Show, visit www.semashow.com/register. If you have questions or require assistance registering, please contact customer service, Monday through Friday, 9 a.m. to 6 p.m. Central time, toll free at 866-229-3687; international callers dial direct: +1-224-563-3154; or email [email protected].